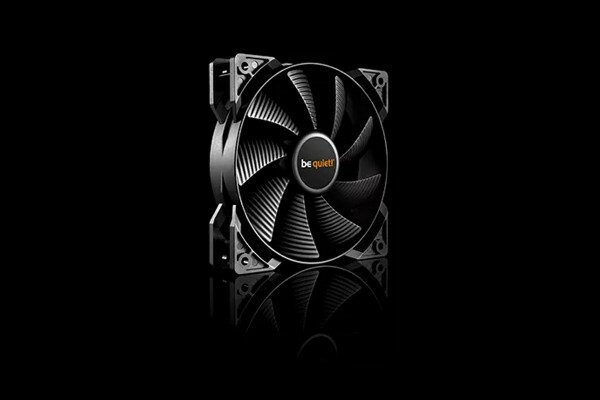 The Pure Wings 2 fan series is unique in its class and offers extraordinary reliability and quiet cooling at a highly attractive price. The amount of noise-optimising technology that the be quiet! team has incorporated into this fan series is impressive, and so is its perfect price-performance ratio. This series is the best choice for anyone looking to install that well-known, unrivaled be quiet! cooling in their PC. The Pure Wings 2 120mm PWM fan contains all of the essential product highlights mentioned above. The fan provides maximum cooling airflow at an impressively quiet 20.2 dB(A). Its higher air pressure makes the Pure Wings 2 120mm PWM perfect for use in water- or air-cooled systems. Extremely quiet operation at a low 20.2 dB(A) even at highest RPM setting. With the PWM, the system can ramp up the cooling as needed or run with maximum quietness during low-usage times.